“I had previously done two 15-hour matches for charity,” said Pete. “I wanted to do something for Sport Relief however knew I needed to make the challenge harder than ever before, so decided to add an extra nine hours on and go for the full 24 hours! “I played a 24-hour match against 12 different players, each taking a 2-hour slot. It was played under normal tennis rules, with the only breaks being 90 seconds at changes of ends, two minutes at the end of sets, and a comfort break being allowed every 3 sets. 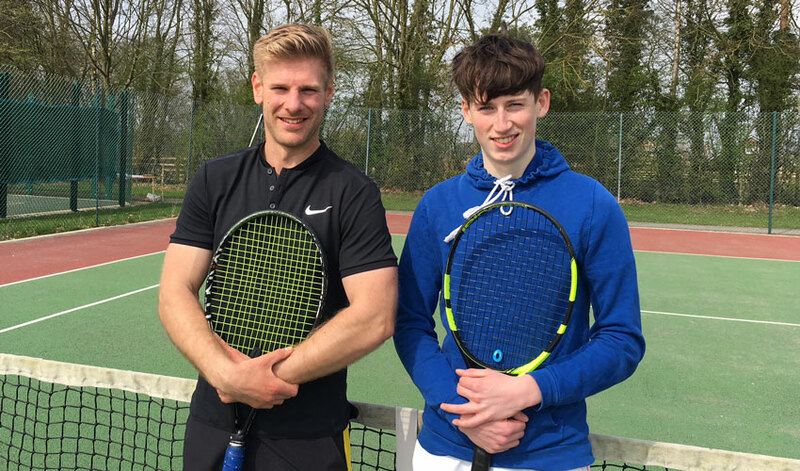 Pete states that the match was harder than he expected as it brought out his competitive streak and he didn’t want to lose to anyone, however he felt that the overnight section of the match was the hardest as he realised he was very tired and was only halfway through the challenge. He said: “It was hard, probably even harder than I could have imagined, but that was expected. I was surprised I was still able to remain competitive with everyone throughout! The final score was 36 sets to Pete, with only two sets conceded. So far he has raised more than £1200 for Sport Relief so far. He has no plans to repeat his 24-hour tennis challenge.